Estes Park lakes are small and wonderful for pontoons, paddleboats, and canoes. Take Trail Ridge Road to Grand Lake and you’ll find larger lakes and bigger boats. Beacon Landing is a full serive marina on Lake Granby. They rent boats, fishing equipment, and fishing tours. In winter they guide ice fishing! Grand Lake Marina has served boaters since 1955! Choose from their new fleet of Pontoons, charter boats, canoes, kayaks, or boston whalers. Enjoy! At Grand Lake, Trail Ridge Marina offers boat rentals, dock rental, and guided excursions! Explore the water with their fishing or boating guide. 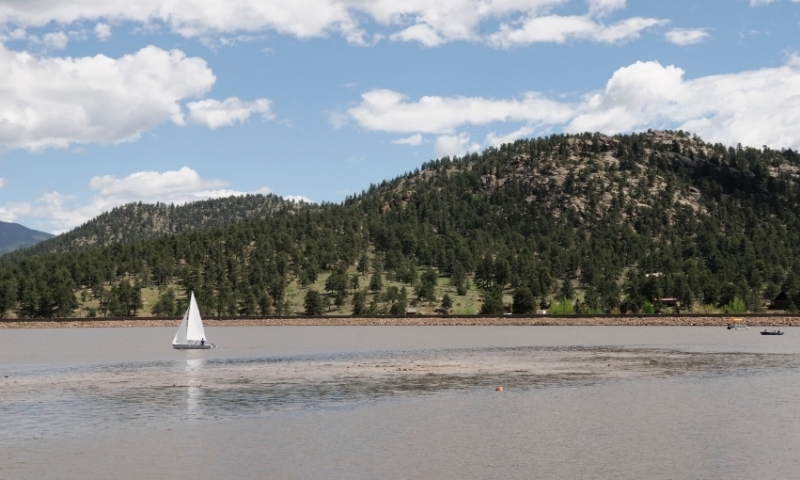 Rent your boat at Lake Estes Marina, right at the water’s edge in Estes Park. Canoe on Lily Lake, just outside of Estes Park. 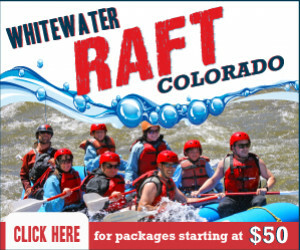 Witness breathtaking views of Longs Peak and Mt. Meeker. Drive Trail Ridge Road to Grand Lake. You’ll find water for bigger, faster boats. Where should I go Boating? Lake Estes is a gem. Its 4-shoreline miles reflect high mountain peaks, forest, and baby elk every summer. Lake Estes Marina has fishing boats, pontoons, paddleboats, canoes, kayaks, and one-passenger ripples! The marina offers bike rentals, horseshoes, picnic tables, and a small beach. Location: 1770 Big Thompson Ave. You can’t miss Lake Estes as you drive west into Estes Park on US 36. The marina is on the lake’s north side. Marina/Boat Launch: Lake Estes Marina has the only boat launch. Boat Restrictions: No jet skis allowed. Don’t create wakes unless pulling a water-skier. Waterskiing is allowed Tue-Thu, 5pm-Dark. Only 3 boats can pull water-skiers at once and can’t be within 75 feet of shoreline. Noise decibel of boats can’t be above 40. Fishing: Fish from a boat or along shoreline. You can catch rainbow or brown trout, Kokanee, Yellow Perch, and Walleye. The Marina sells bait and temporary out-of-state fishing licenses. This small lake sits in huge mountain scenery. Mt. Meeker and Longs Peak are visible to the south. Bring your canoe and fishing rod! A lovely trail circles the lake. Public restrooms are available. Location: Take Hwy 34 into Estes Park. Turn south on Hwy 7, and follow it to Lily Lake, which is on the east edge of Rocky Mountain National Park. There’s a parking lot next to the Lily Mountain Trailhead, to your right. Boat Restrictions: No motorized boats. Fishing: Yes! Bring your rod and your bait. Catch some trout. Look out for signs: fishing is NOT permitted on the east shore May-June. Descend Trail Ridge Road to the town of Grand Lake and its water. Go sailing, boating, canoeing, or fishing on this gorgeous grand lake. When it freezes over, go ice fishing too! Grand Lake is the first lake at the end of Trail Ridge Road. By boat, follow the channel that connects Grand Lake to Shadow Mountain Lake. Driving, continue on US 34 and you’ll discover Lake Granby, and Willow Creek Reservoir to the west. Marina/Boat Launch: Launch your boat at West Portal on the east end of the lake. Multiple marinas include Grand Lake Marina and Trail Ridge Marina. They rent various watercrafts including pontoons and fishing boats. Fishing: People from all over the world come here to go fishing. Catch various kinds of trout and land-locked sockeye salmon called Kokanee. Ask a fishing guide to show you the sweet spots!